During his speech he made it clear that this was a Budget to prepare Briton for a brighter future as the nation prepares to exit the European Union. 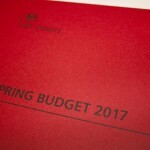 The good news is that there weren’t many tax changes announced in the Spring Budget Report 2017. However, two measures were announced that will hit small business owners; Class 4 NIC increase and decrease in Dividend Allowance. the main rate of Class 4 National Insurance contributions will increase from 9% to 10% in April 2018 and to 11% in April 2019 to reduce the gap in rates paid by the self-employed and employees. For a self-employed individual with £30,000 trading profits, this will increase the Class 4 NI bill for the 2019/20 tax year by about £430. The abolition of Class 2 NI from April 2018 will partially reduce this increased NI but only by just under £150 a year. the dividend allowance will be reduced from £5,000 to £2,000 from April 2018, again to reduce the tax differential between the self-employed and employed. This means that a director shareholder paying tax at the basic rate will pay an extra 7.5% tax on £3,000 of dividends – a £225 tax hike. It will be considerably more for higher rate taxpayers at 32.5% of £3,000 = £975. Making Tax Digital (MTD): The government will provide an extra year, until April 2019, before MTD is mandated for unincorporated businesses and landlords with turnover below the VAT threshold. This will provide them with more time to prepare for digital record keeping and quarterly updates. Childcare: Tax-free childcare will soon be available to working parents of up to £2,000 a year for each child under 12 years. Parents with disabled children will receive up to £4,000 for disabled children up to the age of 17. This scheme begins next month, rolling out first to parents of younger children, with all eligible parents able to access the cuts by the end of the year. Or to discuss how the Budget Report 2017 will impact you give us a call on 01737 652 852.